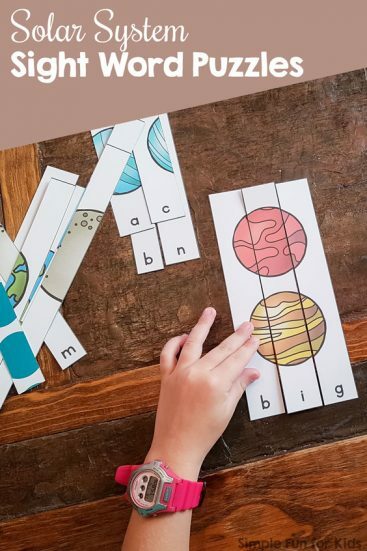 View cart “Solar System Sight Word Puzzles” has been added to your cart. 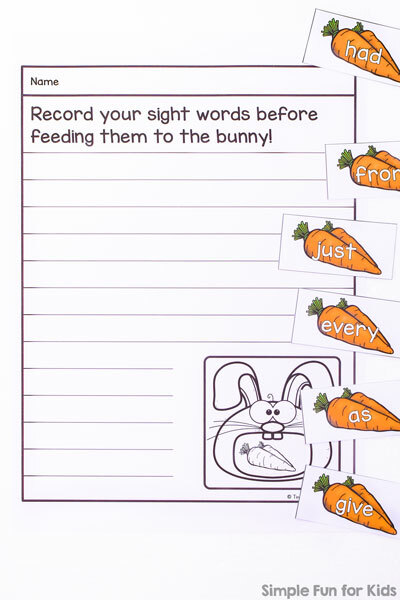 This is a fun “feed the animal” type game that includes all Dolch sight words and is editable, so you can use it for any learning objective you’re working on. 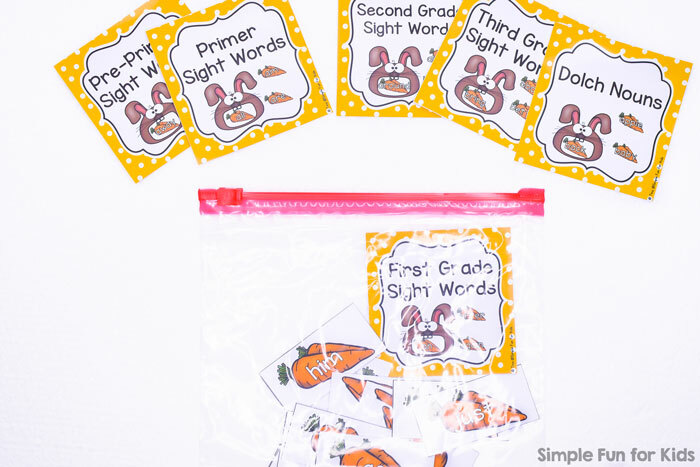 Use the pre-made sight word cards, pre-made labels for each category of sight word, and pre-made recording sheets or edit your own cards, labels, and recording sheets to customize them to your needs. 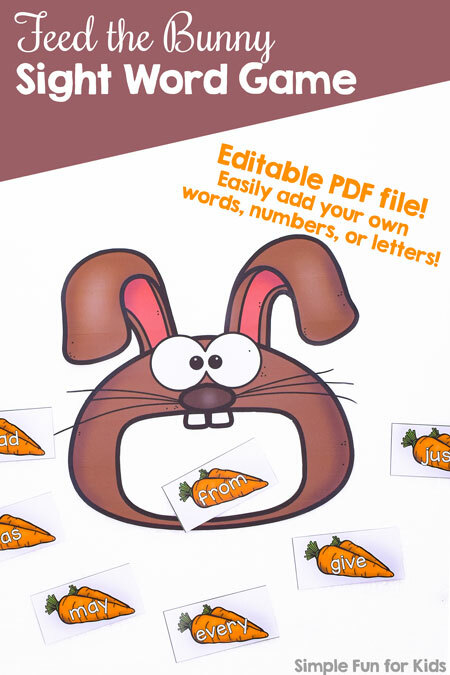 The Feed the Bunny Sight Word Game includes all 315 Dolch sight words: 40 Pre-Primer sight words, 52 Primer sight words, 41 First Grade sight words, 46 Second Grade sight words, 41 Third Grade sight words, and 95 Dolch nouns. On top of that, if you’re working on other learning objectives, you can edit the file and use whatever you want to feed the bunny. Numbers? Letters? Specific vocabulary? Mathematical equations? All easily doable! I’ve also included labels for each category of sight word plus six editable labels for your own categories. There’s also a recording sheet in color and black and white, with one version referencing sight words and another editable version that can say whatever you choose. 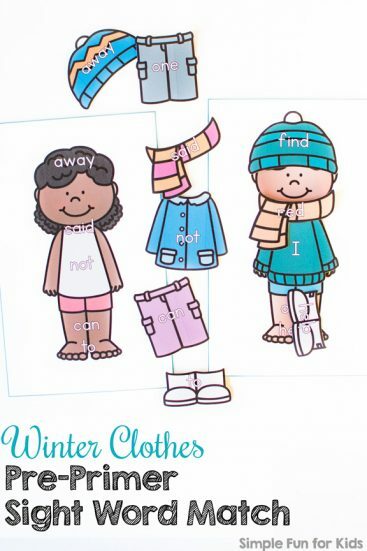 Print one set of sight words or mix and match the different sets. You can easily keep the individual sets straight in storage if you put them in Ziploc bags with the matching label.